Bordeaux 1.6 for Solaris and OpenSolaris systems coming soon. Bordeaux 1.6 is now running on current Solaris and OpenSolaris systems. I have been working with a couple friends over the past two weeks to get Bordeaux running on Solaris and OpenSolaris 2008.11. We now have everything compiling and running but like always more testing needs to be done before it's ready for final release. The installer, Bordeaux programs, built-in Wine programs, bordeaux-winetricks, and a couple small test apps are the only applications we have gotten around to testing as of today. The good news is everything that's been tested works very well on both Solaris / OpenSolaris and everything is extremely stable. The cost of Bordeaux 1.6 is $25.00. Anyone who has purchased Bordeaux in the past six months is entitled to a free upgrade. Bordeaux comes with six months of upgrades and support and of course a 30-day money back guarantee. The Bordeaux Technology Group is a software services and development company specializing in Windows compatibility software. Users of Linux, BSD, and Solaris systems from time to time find themselves in the need to run specialized Windows software. The Bordeaux suite enables access to these programs and data in a seamless and low cost manner without requiring licensing of Microsoft Technology. The Bordeaux Group also provides migration services and support for alternative operating systems specializing in Windows compatibility. There is a multitude of software developed only for the Windows operating system and even when software vendors port thier applications to another platform, generally it lacks features that the Windows version contains. The only solution these developers face is to have access to both systems for testing which leads to increased infrastructure demands, and wasted project resources. If you are vendor interested in supporting your application on Linux, BSD or Solaris or a software user that needs to run a Windows application on Linux, BSD, or Solaris we can help. Here is a full list of dependencies Bordeaux requires on Solaris and OpenSolaris sysyems. Bordeaux for OpenSolaris has been Released! 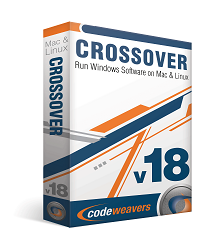 CrossOver Mac allows you to install many popular Windows applications and games on your Intel OS X Mac. CrossOver includes an easy to use, single click interface, which makes installing Windows software simple and fast. Once installed, your application integrates seamlessly in OS X. Just click and run your application directly from the OS X Finder. Clicking a Windows file or document — including email attachments — will launch the appropriate Windows program, allowing you to work on the files. 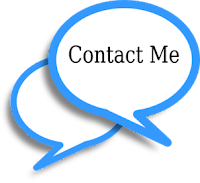 Best of all, you do it all easily and affordably, without needing a Microsoft operating system license. Adding new Windows software is easy. Just place your install CD in your Intel Mac, and CrossOver will recognize it and offer to begin the installation process. CrossOver then completes the installation and configures your application to run on your Mac. That's all there is to it. One Application: Two Delicious Flavors! We've created two versions of CrossOver Mac — Standard and Professional — to serve our home-user/enthusiast and corporate markets even better. CrossOver Mac Standard provides individual users with the ability to run a wide variety of Windows software cleanly and economically. CrossOver Mac Professional provides corporate users with the enhanced deployability and manageability features their environments demand. Likewise, if you're the kind of customer that likes a one-shot deal to make just one particular Windows application run, Standard is for you. But if you're the sort of customer who likes to stay under support, and get a steady stream of updates, Pro is for you: you'll get a better level of support, longer support, and a lower price over the long haul. Many more versions of Office 2007 (including Enterprise editions) now install properly. Office 2003 Service Pack 3 now installs. Office 2003 one-shot updates now apply. 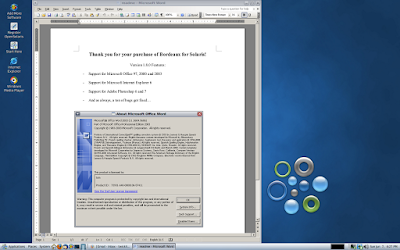 Several more versions of Office 2003 now install. Visio 2003 sp3 now installs. Office 97 now works better. 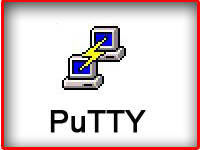 PowerPoint 2003 slide preview improved. Bidirectional text behavior is improved. Access 2002 reporting is improved. Use the native FreeType library on Leopard systems. On Linux, add the ability to generate Debian bottle packages. Fixed a CrossOver installation error specific to Estonian locales. CodeWeavers CrossOver Mac landing page. Steven Edwards of the Bordeaux Technology Group released Bordeaux 1.6 for FreeBSD and PC-BSD today. Bordeaux 1.6 comes with added support for Google's Chrome Web Browser, Google Earth, Google Picasa. Additionally, Cellar support has improved; you can now delete and install into an existing Cellar. There has also been many small bug fixes and tweaks on the backend to improve the speed and reliability of all the supported applications. We currently have a .sh build available for FreeBSD users and a .pbi build for PC-BSD users. Everyone who purchased the beta is entitled to a free upgrade and we will start your six months of support with this final 1.6 build. We would also at this time like to thank all the customers who purchased the 1.6 beta build. "Thanks for the support"
The Bordeaux Technology Group is a software services and development company specializing in Windows compatibility software. Users of BSD systems from time to time find themselves in the need to run specialized Windows software. The Bordeaux suite enables access to these programs and data in a seamless and low cost manner without requiring licensing of Microsoft Technology. The Bordeaux Group also provides migration services and support for alternative operating systems specializing in Windows compatibility. There is a multitude of software developed only for the Windows operating system and even when software vendors port thier applications to another platform, generally it lacks features that the Windows version contains. The only solution these developers face is to have access to both systems for testing which leads to increased infrastructure demands, and wasted project resources. If you are vendor interested in supporting your application on BSD or a software user that needs to run a Windows application on BSD, we can help.